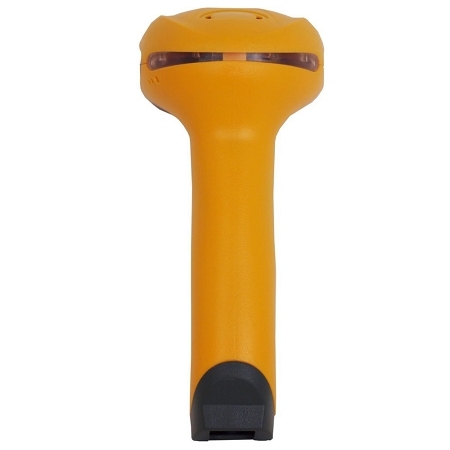 Wireless 2.4G USB receiver transmits at a distance up to 50m. USB receiver allows connectivity to computer. 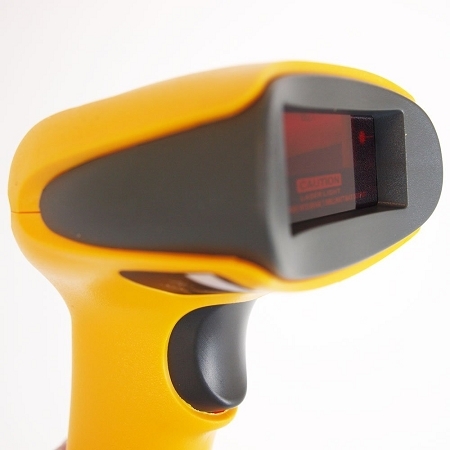 Stores up to 5000 barcodes. Reads good and poor quality barcodes at a similar distance. 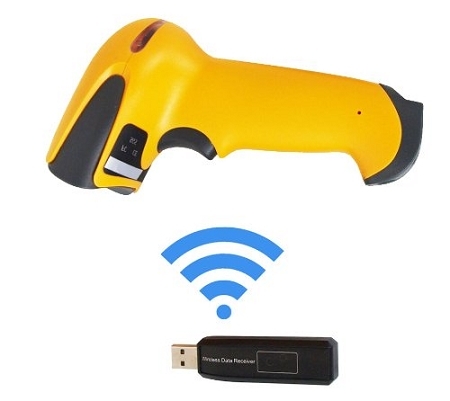 Wireless Barcode Scanners use radio frequencies similar to cordless phones to send scanned information back to a computer-attached or in this case, a completely wireless base station. 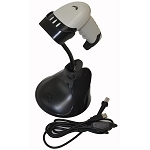 The wireless range on our Wireless Bar Code Scanner with Built-in Rechargeable Battery is of 30 to 50 meters which makes this product the best solution for scanning items in any retail store, restaurant or small to medium sized warehouses. 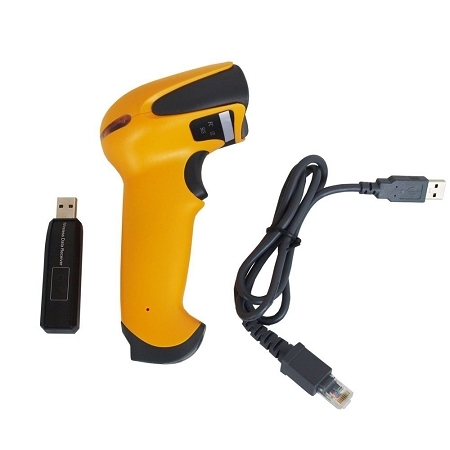 The convenient and wireless USB drive allows you to effortlessly transfer data straight to the computer or POS system. The built-in rechargeable battery makes it easy to recharge. Forget about cables getting in the way and move freely from aisle to aisle while scanning item information directly to your computer! Reading Distance/Speed: 10 - 800mm / 120 scans per sec.